W.R.I.T.E. is a Youth Publishing Program designed to take students from all over the New Orleans Metro Area and transform them into published authors! W.R.I.T.E. takes each young author through the brainstorming, creative writing, editing, formatting, illustrating and publishing processes. Each student enrolled in the program will write, illustrate and publish his/her own book. Students will also meet authors, artists and editors, as well as other well-known New Orleanians who come to support the young, aspiring authors. 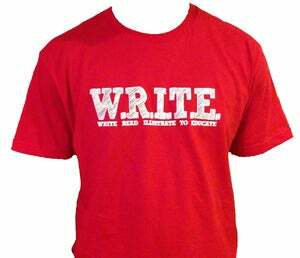 To learn more about write email us at WRITEtoEDUCATE@gmail.com. Most recently, we worked with 5 year old Anna Borecki on writing and publishing her first book, “Seasons”. Learn more by watching Anna’s first TV interview or buy her book from Amazon today. During the summer of 2013, W.R.I.T.E. worked with the students from the Uptown Music Theatre. Learn more about the students and their books here! During September 2012, W.R.I.T.E. worked with over 80 second graders at Sci Tech Academy. View pictures of the students and their books on Facebook.